Are you getting ready to travel soon or do you spend a lot of time on the road? When I went through my food sensitivity diet it was my biggest struggle. I was on the road ALL THE TIME and had to pack every little thing that I was going to eat. Then, I’ll admit, I got lazy so the question was: what were food sensitivity safe snacks for my road trips?? Brandon and I were on a road trip and my first thought was to pack any food that I had an interest in eating so that we didn’t have to stop at a grocery store. On our way home I had already eaten everything so now I was stuck. 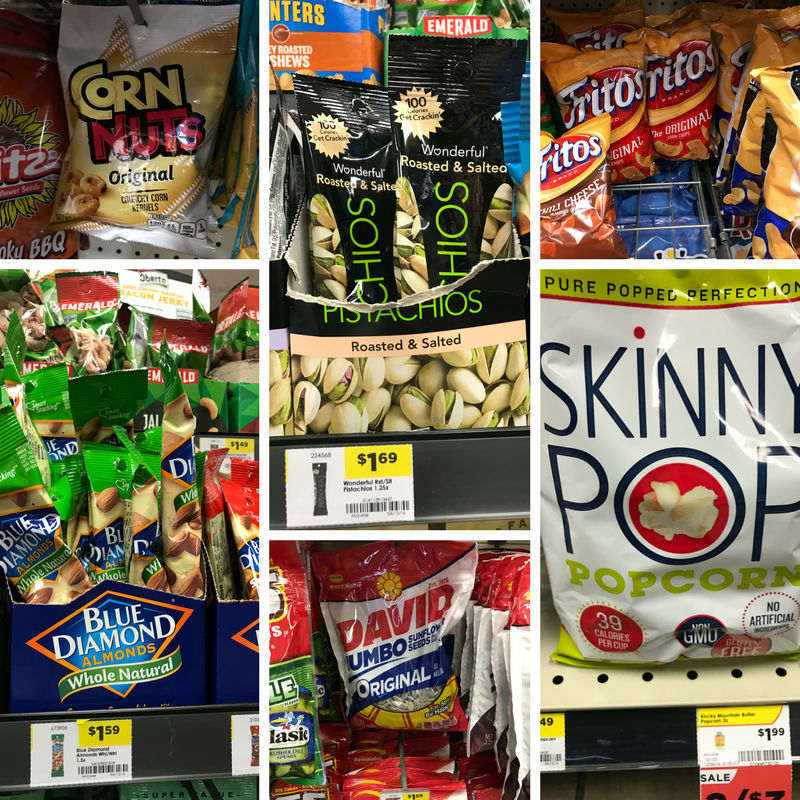 I was back to thinking… what were food sensitivity safe snacks for my road trips?? Sometimes we want to be like everyone else and buy food at the gas station or convenient store and forget about our food sensitivities (IBS in my case). Am I right?! During this trip I spent some time looking around the gas station and taking pictures of every food that I could find that had minimal ingredients. The other criteria was that the ingredients were on the MRT Food Sensitivity blood test. NOT ALL THESE ARE HEALTHY FOODS! But hear me out… on a road trip I would rather eat unhealthy food (like fritos) and not deal with a stomach ache, feel like I need to rush to the bathroom, etc. I would make that choice any day rather than eat the healthy food that makes me feel miserable! Below I listed all the foods that I found on my search and their ingredients so you don’t think I’m crazy 😊. They have no preservatives or additives. Fritos Original – Ingredients: corn, corn oil, salt. No preservatives. If your friends/family like to stop at Starbucks on your road trips you can still get a snack there too! That’s it Bar – Ingredients: apple, blueberry. These bars come in a ton of flavors that are all just apple + another fruit so if blueberries don’t work for you then maybe another bar will. Moon cheese – Ingredients: cheddar cheese. These come in 2 other flavors but cheddar is the only flavor that we test for on the MRT food sensitivity test. Major take away: The plainer the better. Never buy something with an additional flavor because it will most likely have additional preservatives for anti-caking and possibly food dyes to make them visually appealing. I hope this little list helps you on your next road trip! If you find any other foods I would love to hear about them. I am always looking for new recommendations for clients to make their lives easier and as normal as possible while still feeling their best! Thank you Bablofil! Glad you enjoyed it!